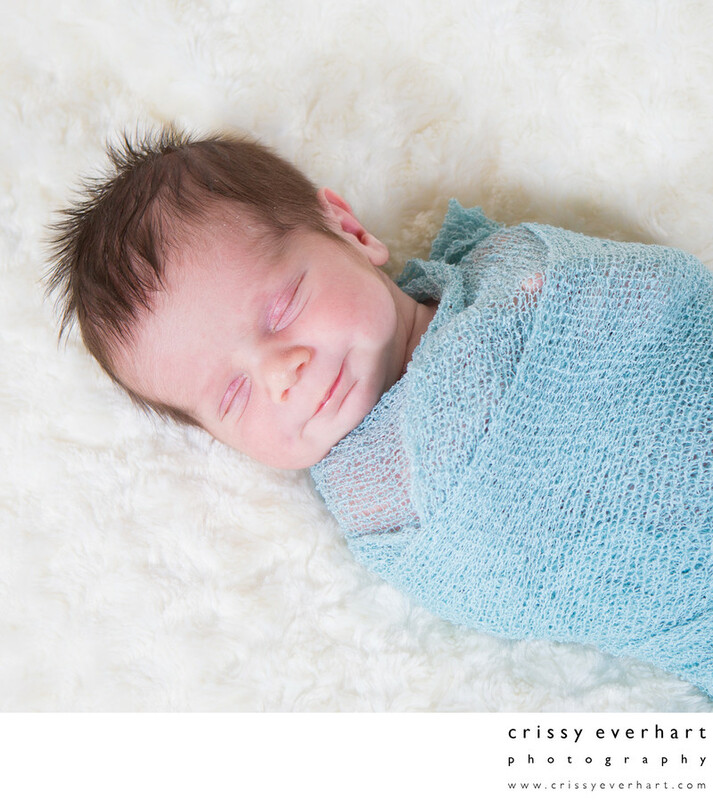 Newborn boy smiling in a blue swaddle and soft white blanket backdrop. He has fuzzy brown hair and puffy little cheeks - he is so cute! !